Missouri is at the heart of the opioid epidemic, and southeast Missouri is among the most at risk. Every 12 minutes, the death toll of the opioid epidemic increases by one more. There were 63,632 drug overdose deaths in the United States in 2016, and 42,249 (66.4 percent) of those deaths involved opioids. Those numbers record a 27.9 percent increase for opioid overdoses in one year, and mark the presence of a new epidemic — the deadliest one yet. Each day, 600 people try heroin for the first time, and 4,000 people begin to abuse painkillers in the United States. In 2016, Missouri was identified as ground zero for doctor shopping and diversion of prescription pills. According to the Center for Disease Control and Prevention, for every 100 people in Missouri there are 80 opioid prescriptions. Worldwide, the United States is home to 99 percent of the world’s Vicodin. 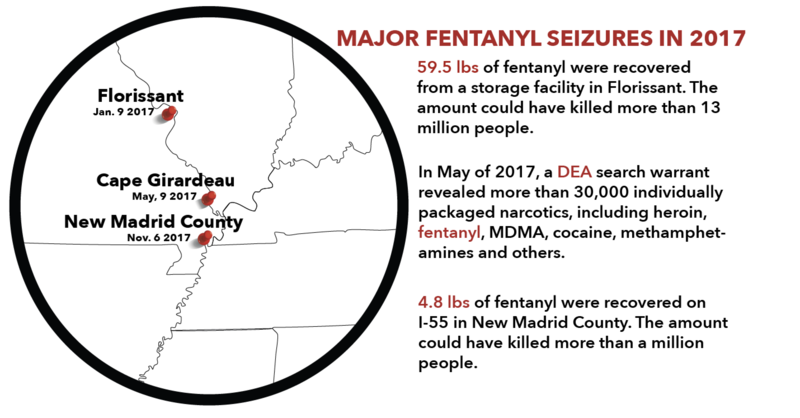 “If you look at heat maps of where our oral narcotic prescription are going, it’s Southeast Missouri,” Missouri Department of Health and Senior Services director Randall Williams said. 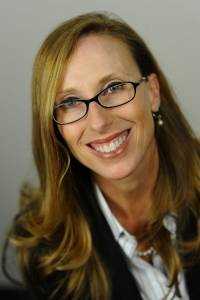 The great fear of the executive departments, Williams said, is the spread of potent synthetic opiates from metro areas. 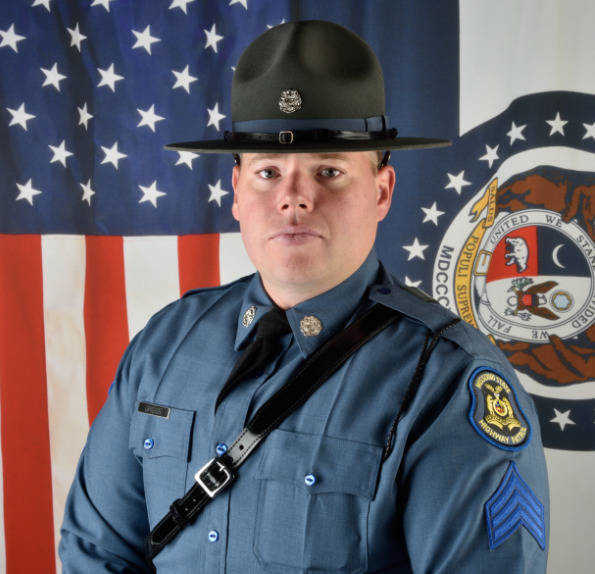 Missouri State Highway Patrol Sgt. Shawn Griggs, the public information, education and training officer for the department's Drug and Crime Control Division, said the State Highway Patrol Drug Lab has seen an increase in fentanyl-related cases in recent years — from 49 cases in 2011, to 468 cases in 2017) and fentanyl was responsible for 80 percent of overdose deaths in 2017. Griggs said fentanyl is created clandestinely and imported. The dark web, among other methods, allows dealers to acquire synthetics from overseas, cheaply, and sell them at a high price. Griggs said dealers with the right equipment can press pills to appear virtually identical to prescriptions medications. “Many times our drug chemists at the crime lab cannot tell that these pills are altered — or created clandestinely,” Griggs said. Griggs said the availability of illicit opiates on the street makes it easy for a substance use disorder to grow and lead to using intravenous drugs. Approximately one in seven people prescribed opiates to treat pain will develop substance use disorder in some capacity, according to the Surgeon General’s Report on Alcohol, Drugs and Health. Eighty percent of heroin users in the United States began by abusing prescription pain pills given to them by a doctor. Williams said irresponsible prescribing practices plays a large role in today’s epidemic. Dr. Joe Leckie, a specialist in emergency medicine at Saint Francis Healthcare System in Cape Girardeau Joe Leckie said much of the prescribing practices came from recommendations from the federal government. 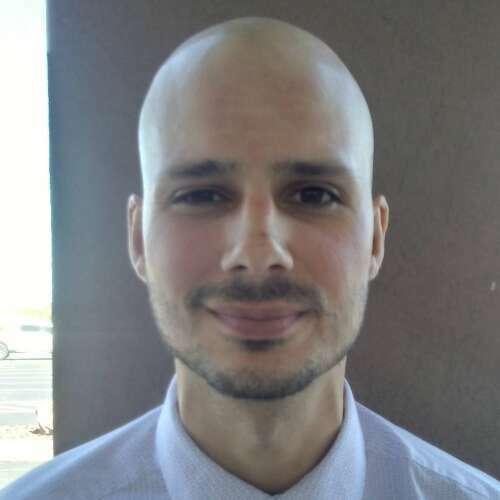 Leckie said, when he started out in the position, nine years ago, pain once was considered a fifth vital sign, and physicians were expected to treat it quick and early. Leckie said the practice has changed, mainly in the last two years, and physicians are now instructed to avoid opioids whenever possible. Even with this push, Leckie said, overprescribing is still a large issue across all medical denominations. Another obstacle Leckie said he has to face in lieu of the epidemic is doctor shopping, where individuals who have substance use disorder for opioids come into the emergency room and demand more medication. Leckie said having a proper prescription drug monitoring program (PDMP) in place in all hospital computer systems would likely have a strong effect to reverse the issue. However, Missouri is the only state in the country that has not initiated a reactive PDMP program that monitors patients’ prescription history to relay back to doctors. In 2017, Gov. Eric Greitens signed an executive order to establish a proactive PMDP county-by-county. But the Missouri House of Representatives has been sitting on a bill that will establish the program statewide. Legislatively, there are several other pending issues on the radar. With a rise in needle-injected opioid usage, particularly heroin, Hepatitis C has spread as needles are shared among users. Since Hepatitis C is covered under Medicaid, it’s costing the state millions of dollars. In 2016, Missouri had 7,500 new cases of Hepatitis C, averaging $84,000 to treat per patient. House Bill 1620, which instates a safe-needle exchange program in Missouri to limit the outbreak of Hepatitis C among drug users, is currently pending. The opioid epidemic is spreading fast throughout Missouri, and Southeast Missouri is the most at risk. Whereas the first time abusing illicit drugs or prescription pills may be a conscious decision, for one in every seven people, that decision turns into a mental impairment — substance use disorder. Many people who suffer from substance use disorder with opioids began with a pain prescription at some point, but the addictive nature of the drugs led them to a point of dependency that many people cannot shake said Rep. Holly Rehder (R-Sikeston). With one in seven people developing substance use disorder in their lifetime, only one in 10 of those individuals receive any type of treatment. Substance use disorder is a medical illness that impairs health and function through the use of any substance in a manner, situation, amount or frequency that can cause harm to users or to those around them — and particularly for this investigation, opioids. Someone with substance use disorder will show several symptoms uncharacteristic to their usual self. General indicators of substance use disorder include alienation; doing things to get the drug that the person wouldn’t normally do, such as stealing; spending money recklessly even when the money isn’t available to the; and constantly working to not get “sick” in relation to withdrawal symptoms. It describes the three areas of the brain most iconic when discussing the onset, development and maintenance of substance use disorder: the basal ganglia, the extended amygdala and the prefrontal cortex. Because of this, these areas enable triggers associated with substance-use to cue seeking of substance, reduce the sensitivity of brain systems that produce pleasure and reward to build up tolerance, and heighten activation of brain stress systems; and negatively affects the executive control systems of the brain. According to the Missouri Intervention and Treatment Programs for Substance Use Disorder 2017 report, approximately 419,000 Missouri citizens struggle with substance use disorder. Of that number, 17,000 are between the ages of 12 and 17. Breaking it down further: 795 pregnant women, 2,975 adolescents, 2,234 Missouri veterans, 19,624 community-supervised offenders, 2,228 homeless Missourians, 10,470 parents and 2,859 drug court participants received treatment for substance use disorder in FY 2016 (these numbers are not exclusive to opioid use and also include alternative drugs and alcohol abuse). Southeast professor of social work Dana Branson describes substance use disorder as a continuum. She said addiction can be quantified, and from those classifications can assess the level of treatment necessary. Through this data, Branson said some people are identifies as being more susceptible to form substance use disorder. Once these individuals begin drug use, their brains begin to alter and adapt to the drug. When taking opioids, the drug takes over a job the brain is generally supposed to do. Since it doesn’t have to produce specific neurotransmitters anymore, it stops. When the brain stops producing them, an individual becomes victim to substance use disorder. Substance use disorder withdrawals begin when an individual stops using the drug on which they’ve grown dependent. The brain no longer has the neurotransmitters it relies on, and therefore must begin making them again. “All addiction starts in the brain. It’s not an issue of morality, or somebody doesn't have enough will power; it is a simple issue of brain chemistry,” Branson said. Rep. Holly Rehder (R-Sikeston) said she believes the number one initiative behind combating the opioid epidemic is reversing the negative stigma behind substance use disorder. The Surgeon General’s Report on Alcohol, Drugs and Health gave recommendations on shifting social attitudes about substance misuse to attempt to successfully address the negative connotation accompanying substance use disorder. 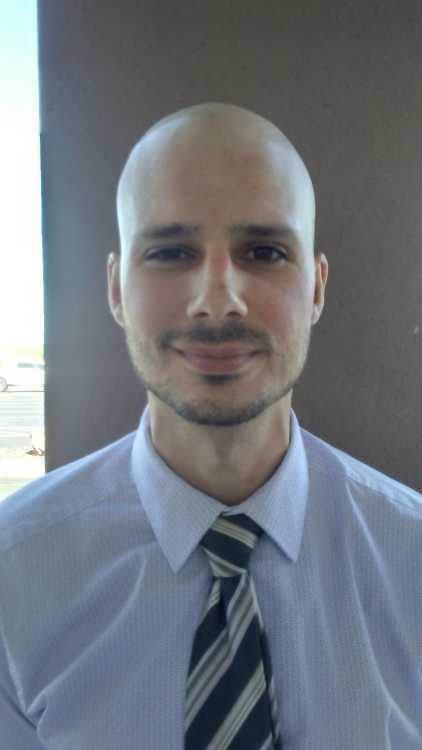 Their recommendations include adjusting the way individuals think and talk toward people with substance use disorder, to treat it like any other medical issue, and to provide high quality care for any individual suffering. Rehder said she wants substance use disorder to be treated the same as any other mental impairment. She believes when it comes to smoking cigarettes and drinking, people generally don’t have the same negative reaction as they would if someone was addicted to opioids. The opioid epidemic has grown widely in recent years, but it is far from new. It’s been entwined with mankind since the start of civilization. While the earliest record of opium growth occurred in lower Mesopotamia in 3400 B.C. by the Sumerians who cultivated poppies and isolated opium from their seed capsules, it wasn’t until the years of 460-357 B.C. that Hippocrates, “father of medicine,” realized opium’s usefulness as a narcotic. In 1806, a German chemist Friedrich Wilhelm Adam Sertürner isolated morphine from opium and it became the linchpin of medical treatment in the 19th Century. It wasn’t until the Civil War that morphine became widely used as a painkiller. Many soldiers became addicted to the opiate and the post-war addiction they were left with was known as the “soldier’s disease.” The Union Army alone issued 10 million opium pills to its soldiers and 2.8 million opium powders and tinctures, according to the Smithsonian. In 1856, the hypodermic syringe and hollow needle were introduced in the United States, and morphine began to be used in minor surgical procedures. The use of morphine to treat postoperative and chronic pain marked the beginning of the medicalization of opioids. But physicians knew even then that opioids were addictive. Medical journals of the 1870s and 1880s were filled with warnings about the dangers of morphine addiction. Despite this, doctors were slow to stop using opioids as treatments due to a lack of other treatments and limited medical education. The Smithsonian reported as early as 1895, 1 in 200 Americans were affected by an addiction epidemic which stemmed from morphine and opium powders. In search of a safer alternative to the abuse associated with morphine, heroin was synthesized in 1898 and was pronounced to be more potent than morphine. It was also proclaimed to be free from abuse liability, the first of several claims like it for novel opiates. The next important development was in 1924, when the passage of the Heroin Act made illegal the importation, manufacture and possession of heroin. Fourteen years later, the U.S. Food and Drug Administration was given oversight of the safety of drugs, which needed to be proved safe to be sold. Many opioid derivatives such as codeine, morphine and oxycodone were used widely following FDA approval in 1950. It wasn’t until the 1940s that methadone, a synthetic opiate, entered the scene. A compound structurally unrelated to morphine, methadone contains properties similar to those of morphine, but it is remarkably different. The withdrawal symptoms are less noticeable upon cessation of use with methadone, as opposed to morphine. The onset is slower, lasts longer and less intense for the user. 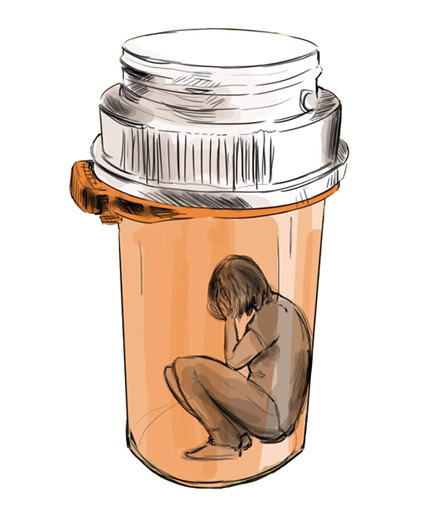 Clinicians today prescribe methadone to those with substance use disorder as a substitute for morphine; those addicted to methadone can usually be weaned off of it when it is no longer desired by the user. Methadone addicts usually are able to lead more stable, normal lives. There was a revival of heroin use in the United States in the 1960s, widely attributed to U.S. involvement in the Vietnam — often called the “first pharmacological war.” Drugs were used widely by soldiers throughout the Vietnam war, some sought illegally and others distributed by their commanders. According to a Pentagon study, by 1973, 20 percent of soldiers in Vietnam were habitual heroin users. By the end of that decade, the World Health Organization (formed in 1948) abandoned the belief that the medical use of morphine led to dependence. This came despite an estimated 35.8 deaths per 10,000 people associated with heroin in 1961. Two years later, Nixon created the Drug Enforcement Agency by executive order. America’s number one public enemy regrouped. Vicodin® (the combination of hydrocodone, an opioid, and acetaminophen, the active ingredient in Tylenol) was introduced in 1978 and became available generically in the 1980s. This is the same decade when opiophobia — a doctor’s fear to prescribe opioids — began in response to the growing demand for pain medication in the United States. It was in the 1980s that public concern for drug use began to skyrocket, and Ronald Reagan’s Administration only furthered that concern. According to an article by the Drug Policy Alliance, incarceration rates escalated during his presidency, and the number of people behind bars for nonviolent drug offenses went from about 50,000 in 1980 to more than 400,000 in 1997. A wave of hysteria spread surrounding cocaine usage, particularly that of smokeable, or “crack” cocaine. Meanwhile, powder cocaine was equally potent, but was treated with considerably leaner punishments. Reagan’s wife Nancy began an anti-drug campaign in 1981, coining the phrase “just say no.” This began a zero-tolerance policy on drugs in the United States, beginning drug education programs such as Drug Abuse Resistance Education (D.A.R.E.) which was adopted nationwide. As a result, clean syringe access and other harm-reduction programs to reduce the rapid spread of HIV/AIDS were blocked. While former President Bill Clinton initially advocated for treatment instead of incarceration, he soon doubled down on drug policies and would come to reject a U.S. Sentencing Commission’s recommendation to level the disparity between prison sentences for crack and powder cocaine. By 1984, the Atlantic reported cocaine was used by 4 to 5 million people regularly compared to those regularly using heroin, just 500,000. It was around this time physicians began to consider narcotics and opioids for the treatment of non-terminally ill patients. Before this, the undertreatment of pain had set up a landscape that would become a catalyst to the clinical prescription of a growing variety of pain medications for all types of pain. By the 1990s, the market for pain medication with extended release technology — or prescription opioids designed to release the medication over a period of time — had grown tremendously. Examples of this kind of drug are morphine, oxycodone, fentanyl and hydromorphone. While patient advocates and pain societies sought more information on pain medications, the market for them grew. At the same time, pharmaceutical companies increased their marketing efforts to health care providers. In 2015, the Atlantic reported an estimated 4 million people, roughly 2 percent of the U.S. population age 12 and up, were using prescription drugs non-medically by 1999. Of those, the report continued, 2.6 million misused pain relievers. Between the years of 1998 and 2008, the abuse and misuse of products containing hydrocodone and oxycodone doubled, according to the Atlantic, and there were more than 730,000 emergency department visits related to the abuse of prescription painkillers in 2009. Pharmaceutical companies began to find ways, in the mid-2000s, to formulate pain medications which would be harder to abuse. The FDA approved both extended-release and immediate-release opioids which contained properties meant to deter abuse by the user. Despite researchers’ best efforts, none of the formulas prevented oral abuse. The Center for Disease Control reported that between 1999-2016, more than 350,000 people died from an overdose involving any opioid, including prescription and illicit opioids. Opioids killed more than 42,000 people in 2016, according to the CDC, more than any year to date. Forty percent of those deaths involved a prescription opioid. Because of the continued abuse and misuse of prescription pain medication, the FDA has worked with pharmaceutical companies to manufacture products which contain abuse-deterrent properties and have supported education on proper opioid prescribing. In the United States, Missouri is the only state not to have implemented a reactive prescription drug monitoring program. 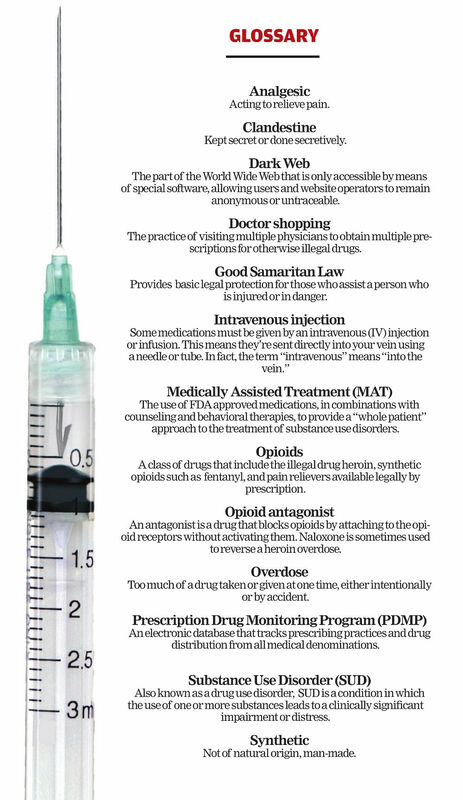 Opioids, generally categorized as prescription or illicit, are manifested in many forms. Additionally, synthetic opiates lend themselves to both. All are chemically similar, produce physically numbing and pain-reducing effects, along with euphoria due to large releases of dopamine throughout the body. Confusion and drowsiness are common side effects. By attaching to cells in the brain, spine and other organs, opioids block pain signals from brain to body and activate reward pathways, enhancing mood and producing pleasure. Breathing, heart rate and blood pressure are slowed, sometimes resulting in death. More than any other classification of drug, exposure to opioids result in heightened tolerance and rapid onset of physical dependence. Though the terms “opiates” and “opioids” are used interchangeably, the first generally refers to substances derived naturally from the poppy plant, and the ladder, to substances that modify the building blocks for more targeted effects. When used properly, and for short periods of time, prescription opioids are effective. For moderate to severe pain relief, physician-prescribed opioids come in a variety of forms: Oxycodone (OxyContin and Percocet), hydrocodone (Vicodin) and oxymorphone (Opana), codeine (generally in liquid form), morphine (liquid and capsule) and fentanyl (a highly potent synthetic) are widely prescribed to treat pain, and some gastrointestinal issues. But there is wide room for misuse. Use in any way other than prescribed — using another’s prescription, using with other substances, use for euphoric effect, pill hoarding — creates danger for overdose and addiction. According to a 2013 and 2014 National Survey on Drug Use and Health (NSDUH), 50.5 percent of people who misused prescription painkillers obtained them from a friend or relative, and 22 percent for free. About 22 percent obtain them from a physician. Older adults have a high risk for accidental misuse, often associated with multiple prescriptions and poor health. According to the Substance Abuse and Mental Health Services Administration, the average age for first-time prescription painkiller use is 21.2. Synthetic opioids such as fentanyl are often used by anesthesiologists, and has been called a wonder drug for cancer patients. Medically Assisted Treatments (MAT), also synthetic, are prescribed to combat the effects of withdrawal, and have become widely used as an anchor in response to the opioid crisis. Methadone, a synthetic opioid used to lessen the painful cravings of opioid withdrawal, is commonly prescribed to recovering users. It does account for a small portion of opioid overdoses each year. Buprenorphine works and is prescribed similarly and has been approved by the FDA in products like Suboxone for transmucosal or sublingual products to be used in combating addiction. Here too, there is potential for misuse especially if taken with alcohol or intravenously. Naloxone and Narcan, which are considered agitators, eliminate the effects of opioid drugs by breaking the receptors grasp. Naloxone is available, for about $150, throughout Missouri. Narcan is the version carried by a majority of paramedics and EMTs. Users can be brought back by even extreme overdose, if an agitator is administered soon enough. Heroin, a highly concentrated derivative of morphine, produces effects in the body similar to prescription opioids. The DEA classifies heroin as a Schedule I drug. It takes the form of brown or white powder or black tar, and is most often injected, snorted or smoked. On the street or black market, heroin is often “cut” or mixed with additional substances — most notably, the synthetic fentanyl — greatly increasing risk of overdose and death. Color is generally associated with purity, but increasingly and inconspicuously, drugs are combined by sources to increase profit. Besides fentanyl, common cutting agents include various household powder products such as baking soda, sugar and rat poison. Heroin represents a more potent, affordable and available opioid high and is often precursed by prescription drugs, although only a small percentage of prescription user switch to heroin, according to National Institute on Drug Abuse. Pleasure and euphoria diminish as tolerance builds, which can lead to increased dosages, and greatly increased risk of overdose. Withdrawal — extreme physical sickness and mental disorientation — prompts recurring use. When diverted for misuse and abuse, prescription opioids are also considered illicit. Modes of rapid entry in relation to misuse include nasal ingestion and injection of crushed pills. Fentanyl, created clandestinely, began appearing in heroin in the late 1980s and early 1990s according to a DEA Briefing for First Responders. Fentanyl is 50 to 100 times more powerful than morphine and presents massive risk of death, especially when used intravenously. Cheap and simple to produce, the drug is considered discreet and can be impossible to identify without laboratory-testing. It is regularly combined with heroin in infamous brands such as “white china,” and “alligator” but users may not be aware of its presence. The Dark Web allows fentanyl to be moved, nearly untraceably, between source and dealer, and is often imported from another country. Counterfeit tablets, composed in whole or part of fentanyl, are passed off as pharmaceutical brand names and even as “cocktail” mystery pills. DEA Assistant Special Agent Larry J Reavis Jr., at an opioid summit held in September, said that fentanyl presence has increased 300 percent in recent years. According to the DEA’s First Responder’s Guide Carfentanil, which is similar to fentanyl, is up to 10,000 stronger than morphine. Treating an opioid overdose often means acting quickly to save a life. In some states, the person who witnesses the overdose is able to administer the opioid antagonist, naloxone, which blocks the opioids from reaching opioid receptors. This must be administered rapidly for life-saving measures and comes in a nasal spray form for friends of family members to use, if needed. In other states, the administrator of the potentially life-saving drug must be an emergency responder. No matter who issues the naloxone, the victimized person should seek professional medical attention following the episode. 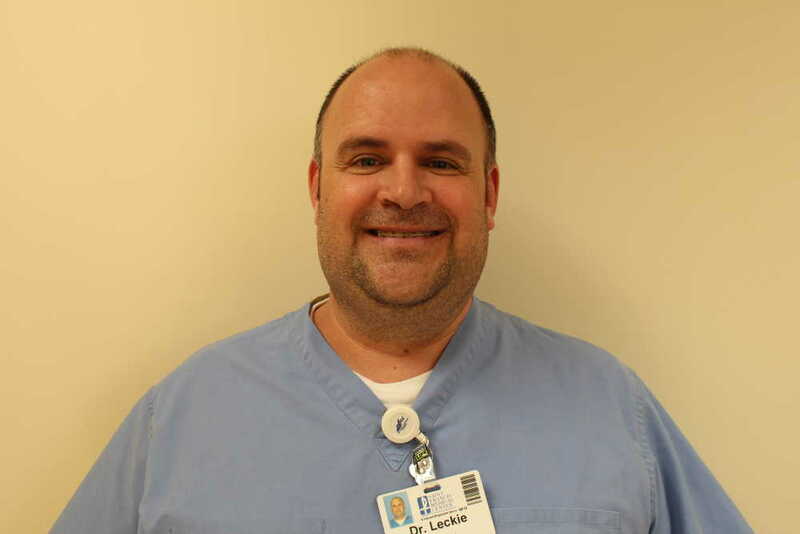 Physician and specialist in emergency medicine at Saint Francis Healthcare System Ronald “Joe” Leckie said medical first-responders bring the overdose patient into the emergency room after administering the naloxone. The patient, he said, is typically conscious upon arrival. Leckie said those who overdose on opioids for the first time or are not repeat users will not usually experience a withdrawal period following an overdose. 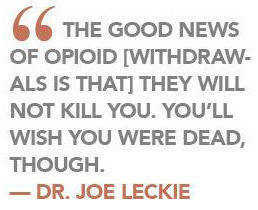 Someone who has abused opioids consistently, Leckie said, may typically experience a withdrawal period of a few days. Leckie said the withdrawal period can include symptoms such as nausea, vomiting, body shakes and an overall sick feeling. A challenge Leckie said emergency doctors often see in an overdose situation is a mix of several drugs, not just opioids. The patients, he added, may not know or be willing to disclose all the drugs they consumed, which can make treatment more challenging. Of 20,000 physicians in Missouri, director of Missouri Department of Health and Senior Services Randal Williams said only 500 are certified to treat opioid abuse – him being one of them — and that a special course is necessary to receive that certification. Because the opioid epidemic reaches to areas where access to medical care may be limited, Williams also said telemedicine is becoming a key to treating rural communities. The ninth state to implement a telemedicine program, he said Missouri is becoming efficient in the usage of medically assisted treatments, and that attention must also be given to those already addicted. While most patients are recommended to Gibson Recovery Center, Leckie said the Cape Girardeau area needs more treatment center options. He added that the emergency department of Saint Francis does not typically prescribe methadone, a medication-assisted treatment option offered at the Cape Girardeau Metro Treatment Center. Methadone (suboxone) activates the opioid receptors just enough to prevent people with substance use disorder from feeling withdrawals or cravings, but not enough for them to get high. Methadone is used by some treatment facilities as a way to help slowly wean a person with substance use disorder off their opioid of choice. Leckie said he thinks methadone is a positive step forward for those with substance use disorder, despite it being a substance on which people can still become dependent. “It’s not as bad as the drugs that they were addicted to, but unfortunately they’re dependent on it,” Leckie said. Outside of overdoses, Leckie said at least 25 to 30 percent of the emergency room visits at St. Francis are “pain issues.” He said many primary care physicians have stopped writing refilling and writing narcotic prescriptions, so the emergency department gets an influx of patients looking for that, as well. The Missouri Department of Social Services began sending letters to physicians twelve years ago with names of patients who had been prescribed opioids. Leckie got his first letter in March and said the department sends out 8,000 letters every two months to physicians who then have just 21 days to return them each time with reasons for prescribing opioids to those patients. Leckie said the emergency department as a result is trying to get away from prescribing opioids for pain and instead offering non-addictive pain medications. Despite the challenges still facing treatment in the opioid epidemic, Williams said the Missouri Executive Cabinet is collaborating on the issue for the first time. He expects a better outcome than in past years. There are many options available to those seeking treatment for substance use disorder, including chemical dependency treatment programs, detoxification, opioid overdose, behavior therapy and mutual-aid groups. According to the Substance Abuse and Mental Health Services Administration (SAMHSA), approximately 419,000 Missourians struggle with a substance use disorder. Of those, 17,000 are between the ages of 12 and 17. Long-term recovery options for those struggling with substance use disorder in Cape Girardeau are limited to Gibson Recovery Center and Adult and Teen Challenge, both of which have services primarily for men. 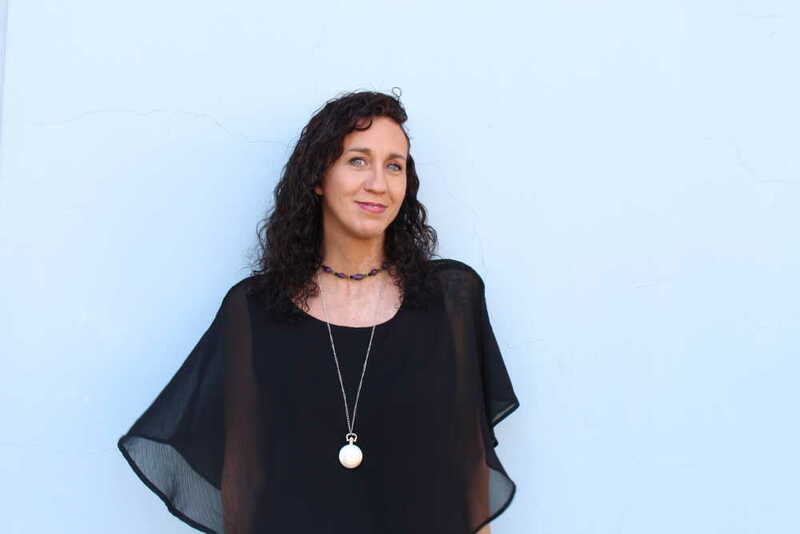 Funded by the Missouri Department of Mental Health, Gibson Recovery Center does have some services available for women in recovery, according to Dana Branson, professor in the Department of Social Work at Southeast. Kristi Booth, a peer ambassador for Missouri Recovery Network, said there are simply not enough services available to many people in recovery in the Cape Girardeau area. Other southeast Missouri area recovery centers include Mission Missouri in Sikeston, Southeast Behavioral Health - New Era Center in Poplar Bluff and Southeast Behavioral Health in Salem. While it is possible to break an addiction, most people with substance use disorder classify themselves as lifelong “persons in recovery.” There is no known cure for substance use disorder, but recovery allows an individual to go from initial treatment to sustainable health. According to the Missouri Department of Mental Health, recovery supports are funded through the a federal grant, called Access to Recovery (ATR). The $7 million ATR 4 grant that was awarded to Missouri in 2015 by the U.S. Department of Health and Senior Services was to be spread out over a three year period. In April, it ran out. On Feb. 7, the Missouri Recovery Network held a Recovery Advocacy Day at the Missouri Capitol to lobby for more funding that would replace the ATR 4. Advocates attended in order to speak with their representatives about passing legislation that would treat recovery as a special line item in the Missouri budget. That line item would provide the state with extra funding, $4 million to be exact, to specifically create more recovery programs to help rehabilitate those with substance use disorder. According to the Missouri Recovery Network, “funding recovery makes sense.” Funding for the line item of recovery would go toward community safety, reuniting families, reducing the impact to the foster system, increasing safe housing and decreasing homelessness. 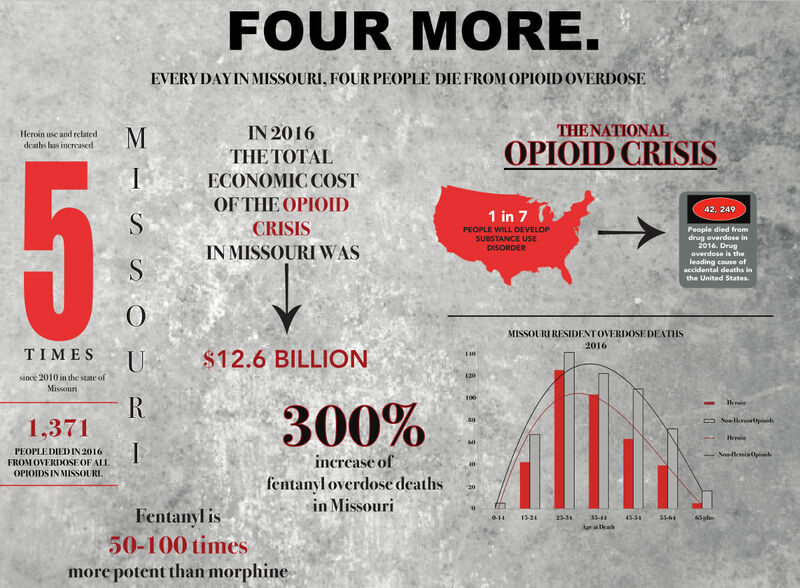 The total Missouri economic cost of the opioid crisis in 2016 was $12.6 billion, and Missouri sees up to a $12 return for every one dollar spent on prevention, treatment and recovery supports, according to the Missouri Recovery Network. The ways in which a life of recovery can be achieved and supported, according to SAMHSA, are broken down into four basic categories: health, home, purpose and community. 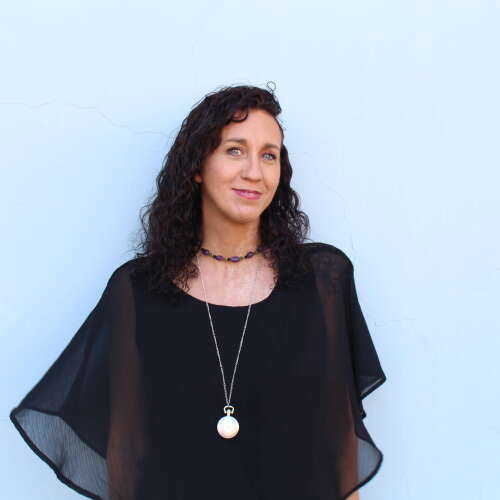 It goes without saying an individual in recovery is someone seeking better health practices. But in this case, health is more than just feeling good and regular exercise. It’s also about checking in with oneself mentally, physically and emotionally, while also maintaining the ability to abstain from all the things which encouraged the disease (alcohol, illicit drugs, non-prescribed medications, etc.). Recovery is impossible without a safe and stable home. Recovery centers are designed to take an individual with substance use disorder out of the environment in which they became addicted. Only when isolated from that environment can an individual begin taking steps to get well. When an individual has substance use disorder, he or she can lose their sense of purpose. Meaningful daily activities such as a job, school or volunteer work can engage an individual and revive a sense of purpose that can make all the difference in the recovery process. In some recovery centers, this can take the form of a spiritual or faith-based program. Finally, community is a part of recovery which cannot be understated. In almost every kind of recovery center, there are people on a similar journey who become community. The ability of individuals with substance use disorder to find a community that understands what they’ve been through is an integral part of the recovery process. The Opioid Crisis Response Act of 2018, a bipartisan bill currently awaiting approval from the U. S. senate, for the improvement of departmental ability to address the crisis, and its effects on families and communities, by updating care plans and improving data sharing between states. Missouri became the last state in the union to implement a statewide PDMP in 2017 on executive order from Governor Eric Greitens. Opioid overdose-related death surpassed the total for traffic deaths in Missouri in 2017, and the year before, 908 Missourians died from opioid overdose. The executive state cabinet recruited Dr. Randall Williams to be Director of Health and Human Services after his success in the eastern United States. Williams said the administration has made the crisis a priority. “I think 2017 will be a milestone year in Missouri’s challenge to meet this. Before 2017, to be honest, here to date, we have really not done anything,” Williams said. In August 2017, Williams put forth a standing order allowing anyone in the state to purchase naloxone, a drug that combats the effects of overdose, without a prescription. That same month, the Good Samaritan law was approved, which protects those who contact emergency services from minor drug and alcohol violations. But taking a closer look at prescribing habits of physicians in Missouri and holding them accountable with reliable PDMPs, he said, will have the most effect. “In the year 2017, not a single doctor was disciplined by the Missouri Board of Healing Arts for misusing, abusing or diverting drugs, making us a tremendous outlier in the country,” Williams said. Medicaid data — which covers 1 million of the 6 million patients in Missouri, and is state funded — Williams said, recently has come under the scrutiny of executive departments, and three additional investigators have been brought on. Now, Williams said, non-compliance from medicaid providers will result in an investigation form the Bureau of Narcotics and Dangerous Drugs. Physicians with suspicious prescribing activity can have their license revoked. “We’ve been doing it for a short period of time, but it has already yielded some very active investigations,” he said. Physicians must identify every patient treated with opioids and their reason for prescribing them. Because patients of Medicaid are technically patients of the state, Williams said, there is no issue in looking at patient data. In addition to investigation of providers, Jefferson City is looking at pharmaceutical companies who have been misleading about addictive qualities. Missouri Attorney General Joshua Hawley’s lawsuit — a pursuit of charges against three major pharmaceutical manufacturers, for fraudulent misrepresentation — will move forward as ruled April 25, 2018, by a St. Louis Circuit Court. Missouri State Highway Patrol Sgt. Shawn Griggs, the public information, education and training officer for the department's Drug and Crime Control Division, said law enforcement’s role has shifted in response to a changing epidemic. He said the dangers of opiates represent a public health concern, and as a result, law enforcement in Missouri is trending beyond enforcement, and toward education. His said officers carry informational brochures, with resources for dealing with substance use disorder. More than 1,400 Missouri State Highway Patrol employees have been trained in administration of naloxone, and Griggs said some 230 troopers carry the substance. Griggs said the State Highway Patrol Drug Lab has seen an increase in fentanyl-related cases in recent years — from 49 cases in 2011, to 468 cases in 2017. He said the dangerous synthetic is created in illegal drug labs. While Interstate-55 and I-70 will always play a role in the import of illicit drugs, Griggs said, the dark web, has increased the import of dangerous synthetics. “We do have officers that are conducting covert and overt narcotics investigations, some of those occur on the internet as well,” Griggs said. Amid a national state of emergency regarding the opioid epidemic, and a quadrupled overdose rate in the United States since 1999, there is only one state in the union without a reactive statewide prescription drug monitoring program (PDMP) — Missouri. A prescription drug monitoring program is an electronic database that tracks controlled substance prescriptions in a state. According to the Center for Disease Control and Prevention (CDC), PDMPs can provide health authorities timeless information about prescribing and patient behaviors that contribute to the epidemic and facilitate a nimble and targeted response. PDMPs apply to the approximately one million medicaid users in Missouri, and track an individual's prescription medicine activity across all medical denominations and inputs the information into a database for physicians and pharmacists. Evaluations conducted by the CDC concluded that PDMPs have illustrated changes in prescribing behaviors, use of multiple providers by patients, and decreased substance abuse treatment admissions. 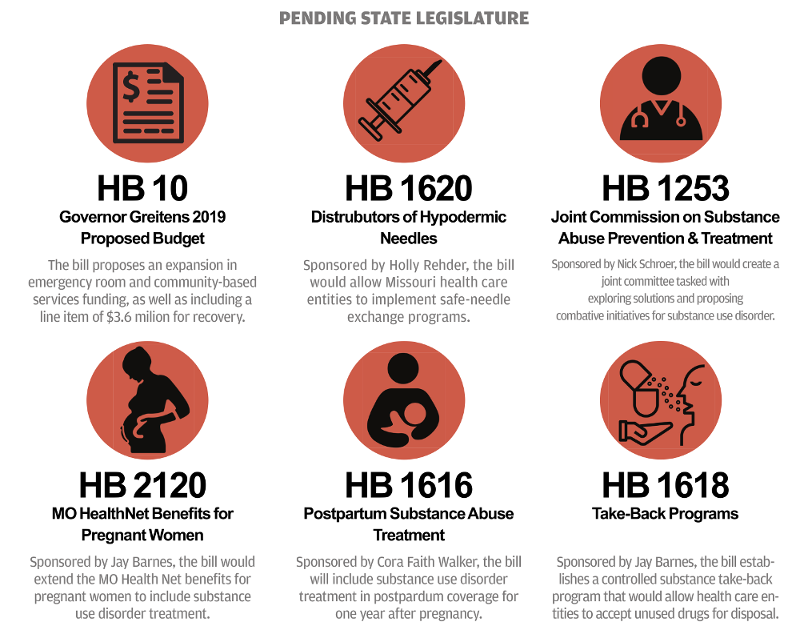 Rep. Holly Rehder (R-Sikeston) has introduced a house bill for the past six years to the Missouri House of Representatives to bring a statewide reactive PDMP to the state, however the bill has never passed. As for why it hasn’t passed, Rehder said some legislators are simply dragging their feet. In lieu of the 99th General Assembly’s failure to pass the required legislation to instate a reactive PDMP, Gov. Eric Greitens signed an executive order for the Department of Health and Senior Services to implement a multi-phase PDMP. The executive order, however, only allows for a proactive PDMP, which allows personnel to access and investigate overprescribing practices, however does not send patient data straight to the prescribing physician as a reactive PDMP would. Dr. Joe Leckie, specialist in emergency medicine at Saint Francis Healthcare System, says he’s happy the governor instated the PMDP he did, however in the future he would like to see the two forms working together. With a proactive PMDP, providers have the option to register, it’s not an automatic database in every hospital computer systems. Also, it’s not reliable across counties and state lines. “A lot of the providers still have not registered to get into [the PDMP]. We have a lot of patients that come from Illinois, so we can’t get their information from across the river, so you have to use your best judgement,” Leckie said. Leckie said as a physician, he’s always had cyber access to medicaid information that shows what a PDMP would show. The PMDP would just supply the information immediately during patient visits. Although PDMP’s would certainly help with monitoring prescription drug distribution, Leckie said people always find a way to get around the system. “We’ve had medicaid and medicare, and had cyber access for a long time, which shows how they’re getting these meds filled, but the addicts realized if they pay with cash, it won’t go on my medicaid number,” Leckie said. Despite the legislature’s denial for a reactive PDMP, Rehder said she has been focused on implementing PDMPs county by county. According to her, approximately 70 percent of the state’s population is covered by county PDMPs, mostly in urban areas. Director of the Missouri Department of Health and Senior Services Randall Williams said the county by county PDMPs originated in St. Louis, and started making its way around the state. Williams said his department supports county PDMPs; however, they are not recommended by the CDC because only 15 percent of doctors around the country use them, reporting the programs as cumbersome. The Southeast Missouri region has successfully implemented PDMPs in every county in the region, with Dunklin County being the last to implement the registry. “We just think very fervently that to have a robust and disciplinary process is best for everybody — it’s best for our patients, our doctors and best for the profession.” Williams said. David Ludolph. 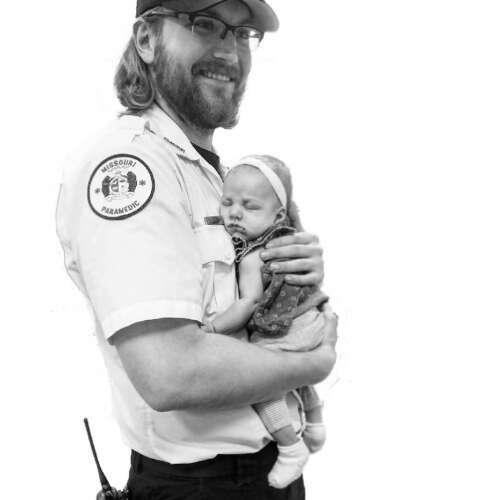 Paramedic in Cape Girardeau. Zach Norris. Program director for Adult Teen Challenge Mid-America Induction. Dr. Joe Leckie. Physician and specialist in emergency medicine at Saint Francis Healthcare System. Holly Rehder. Represetative in the Missouri House of Representatives for District 148. Dana Branson. 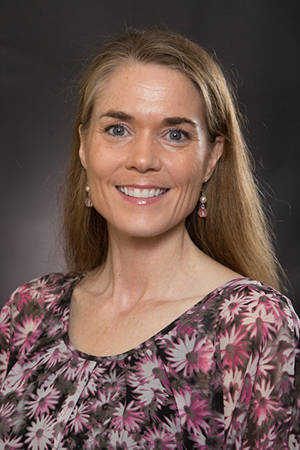 Southeast Missouri State University professor in the Department of Social Work. 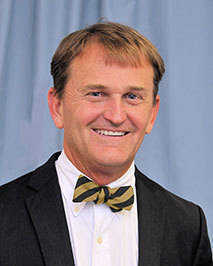 Dr. Randal Williams. Director of the Missouri Department of Health and Senior Services. Sgt. Shawn Griggs. Public information, education and training officer for the Public Information and Education Divison of the Missouri State Highway Patrol.